In this wise and elegant New York Times bestseller, Jane Goodall examines the critical role that trees and plants play in our world. SEEDS OF HOPE takes us from Goodall's home in England to her home-away-from-home in Africa, deep inside the Gombe forest, where she and the chimpanzees are enchanted by the fig and plum trees they encounter. She introduces us to botanists around the world, as well as places where hope for plants can be found, such as The Millennium Seed Bank. She shows us the secret world of plants with all their mysteries and potential for healing our bodies as well as Planet Earth. 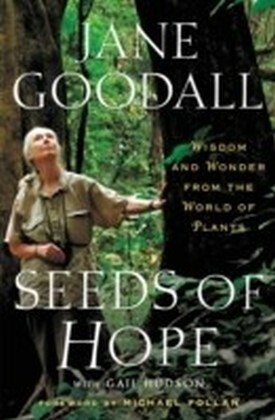 Looking at the world as an adventurer, scientist, and devotee of sustainable foods and gardening--and setting forth simple goals we can all take to protect the plants around us--Goodall delivers an enlightening story of the wonders we can find in our own backyards.